Since September 4 Christchurch in New Zealand is being pounded by earthquakes, one after the other they are coming and some are fairly medium sized earthquakes. Those tremors, aftershocks or earthquakes are now approaching almost 700 earthquakes in just 13 days. 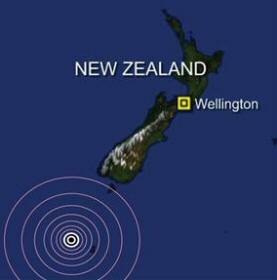 That is either the biggest earthquake swarm we have heard off or something else is brewing beneath New Zealand. The massive 7.1 magnitude earthquake a few days ago caused damage to many buildings as well as public buildings, historical buildings and even the old Library in Christchurch is said to be on a new fault line, or where there is no known fault line. Buller in 1929 with a magnitude of 7.8 on the Richter scale.